18th January 2009 with a sponsored of BAYU TIARA SEWERAGE SDN BHD (BTS). This team is a combination of a pro and amatuer player. They are A'amaluddin,Mohd Johan Jamil, Mohd Azizul Hakim ,Mohd Hafizan Omar and myself. I would like to take this orputunity to thank BAYU TIARA SEWERAGE SDN BHD , especially Mr Omar B. Abd. Kadir and also to Hafizan. Let play chess with our best strenght and give a good fight. 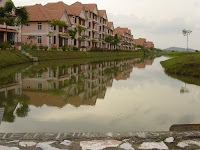 BAYU TIARA SEWERAGE SDN BHD (BTS) was incorporated on 27th February 2003 under The Malaysian Companies Act 1965. BTS is formally known as a Bayu Tiara Sdn Bhd.The relevant statutory authorities for sewerage are Jabatan Perkhidmatan Pembentungan and Indah Water Consortium. 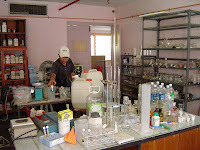 BTS are constantly in liaison with both authorities to further enhance our services to the client.BTS have collaborate research and development with University Sains Malaysia to constantly upgrade and innovate our range of product. Through product innovation and new technology acquisition, the group hope to meet the challenge of the future with unfailing commitment. Bayu Tiara Sewerage Sdn Bhd (BTS) are committed to manage and preserve the environment in which we operate through undertaking relevant sewerage projects utilizing the eco-friendly composite materials which are suited for environment applications. 50490 BKT. 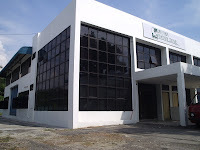 DAMANSARA, KUALA LMPUR.